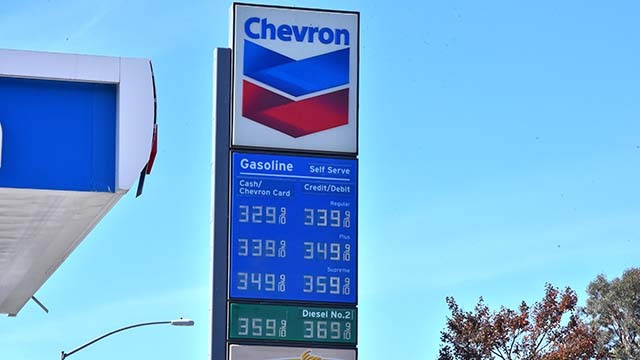 An 18-day streak of decreases at the local gas pumps ended Saturday when the average price of a gallon of self-serve regular gasoline in San Diego County rose a half-cent to $3.07. The average price is 3 cents less than one week ago and 14.5 cents lower than one month ago, but 34.3 cents more than one year ago, according to figures from the AAA and Oil Price Information Service. The average price dropped for 13 consecutive days, rose two-tenths of a cent on Nov. 27, resumed dropping Nov. 28 and was unchanged Dec. 4. “With an all-time record 8.2 million Southern Californians taking holiday trips, the good news is that local gas prices are now almost as low as on Halloween, just before the November price spike, and there’s a bit more momentum for further drops based on current wholesale prices,” said Jeffrey Spring, the Automobile Club of Southern California’s corporate communications manager.